Almost wordless! 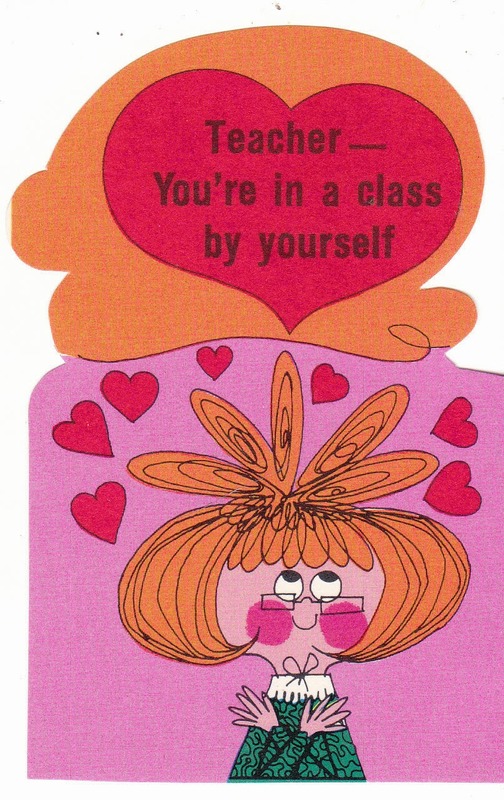 Groovy Vintage Valentine: "Teacher - you're in a class by yourself." Thanks! I like the retro graphics and mod colors.